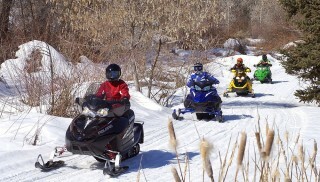 The International Snowmobile Manufacturers Association is celebrating the 20th anniversary of the Safe Riders! 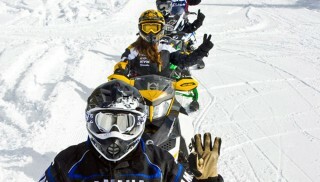 You Make Snowmobile Safe safety campaign. 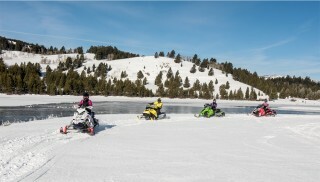 This campaign was launched in 1995 through a partnership with the snowmobile manufacturer members of ISMA (Arctic Cat, BRP, Polaris, and Yamaha) and the state and provincial snowmobile associations’ clubs. The goal of the campaign is to keep safety a “top of mind awareness” subject while snowmobiling. The content of the campaign was created with input from all corners of the snowmobile world and continues to live and grow in ideas and outreach. According to the ISMA, the campaign has been very effective and is used in support of safety training across North America. Hundreds of thousands of information pieces have been sent to safety trainers and to snowmobile enthusiasts free of charge. The snowmobile industry’s commitment to safety continues and individual snowmobile clubs and associations are encouraged to participate in the upcoming Snowmobile Safety Week, which takes place January 16-24, 2016.